India openers Rohit Sharma and Shikhar Dhawan have made substantial gains in the latest ODI rankings after the Asia Cup, while Rashid Khan (Afghanistan) has displaced Shakib Al Hasan (Bangladesh) from the top of the all-rounders’ list. Indian openers Rohit Sharma and Shikhar Dhawan have moved up the ladder after the Asia Cup in the United Arab Emirates, which their side lifted by scoring a last-ball victory over Bangladesh in the final. Sharma, who led the team in the absence of top-ranked batsman and captain Virat Kohli, has shot up two places to a career-best second position to make it a 1-2 for India in the batting rankings. This is for the second time that Sharma is in second position, having first reached number two in July this year. Rashid Khan has displaced Shakib Al Hasan from the top of the all-rounders’ list and has become the first from his country and 32nd overall to reach top position in the list with a jump of six places. Rashid’s success with the ball saw him cross the 800-point mark during the tournament, which saw in action five of the 10 teams to fight it out in next year’s ICC Cricket World Cup, and he also chipped in with 87 runs to reach a career-best 97th position among batsmen. 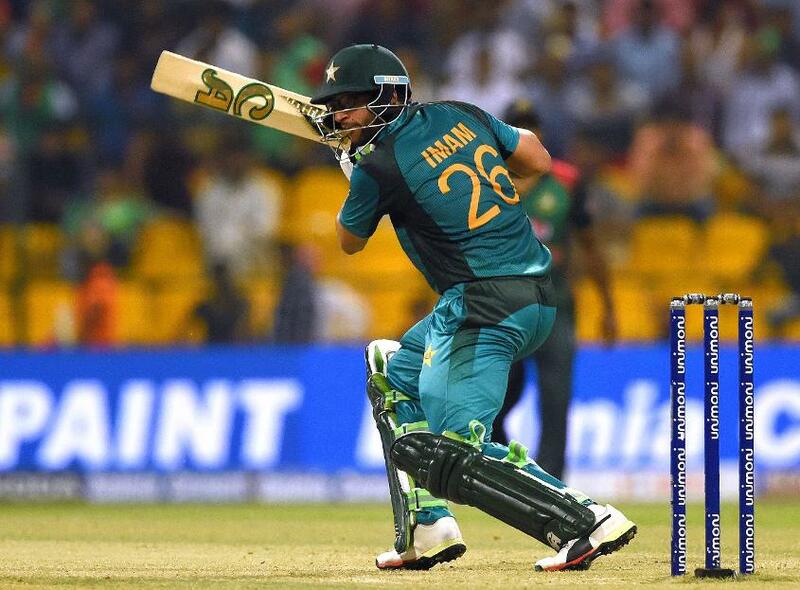 Pakistan’s Imam-ul-Haq has gained 15 places to reach a career-best 27th position. Afghanistan opener Mohammad Shahzad has gained 19 slots to reach 36th position, his highest in two years, while spinner Mujeeb Ur Rahman has gained 15 slots to reach eighth position. For Bangladesh, wicketkeeper-batsman Mushfiqur Rahim has attained a career-best 16thposition, while Liton Das has advanced 107 positions to reach 116th rank after his fine century in the final. Mustafizur has moved up four places to take 12th position among bowlers. Pakistan left-hander Imam-ul-Haq has gained 15 places to reach a career-best 27th position while Shoaib Malik has gained 12 slots to reach 42nd position. Junaid Khan has gained seven slots to reach 30th position among bowlers. *Nepal will qualify for a full ranking after playing one more ODI, the Netherlands will qualify for a full ranking after playing two more matches.